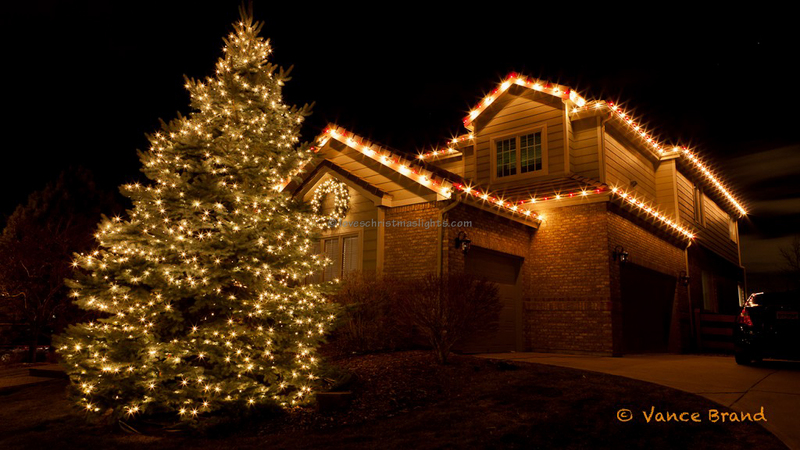 Hanging Christmas lights on trees and shrubs can add a ton of lights to a display. The first thing you will want to do when installing lights in trees/bushes is to see where your power is going to be coming from. 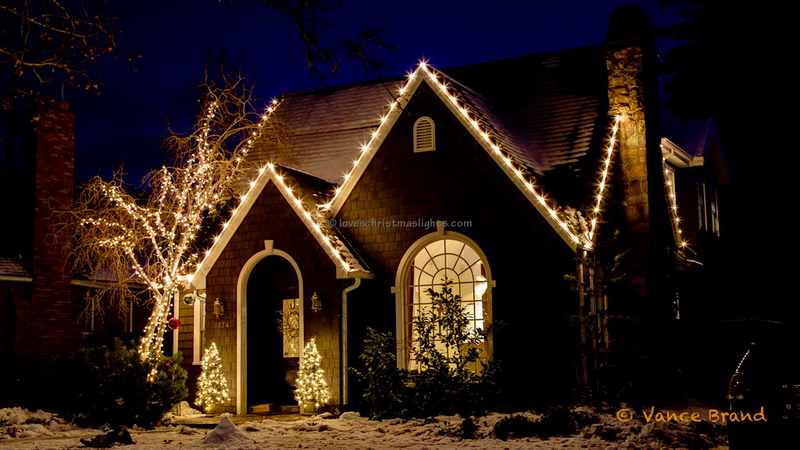 Ideally, you will want to plug into the lights on the house, or at least the house timer, so all the lights come on at the same time. This may not be possible based on power consumption, or there may be a more ideal power location. Being you always want to install lights in trees with them on, run power to the trees first. If the tree is a distance from the power source, use a 40' extension cord to get to the tree. If there are multiple trees in the same location, you can run from one tree to the next with zip-line and install a female plug at each tree. Unless you are installing 30” spaced C9 lights, you will be using mini lights for all trees/bushes. 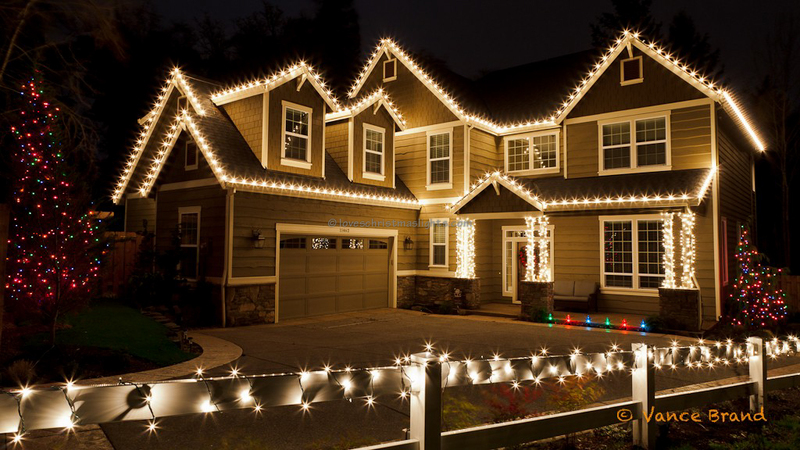 There are three methods of installing lights in trees; spinning, weaving, and outlining.